South Africa’s best loved, multi-platinum and multi-award winning Gospel project Joyous Celebration – proudly release their latest live recording REWIND 2: Live At Monte Casino. 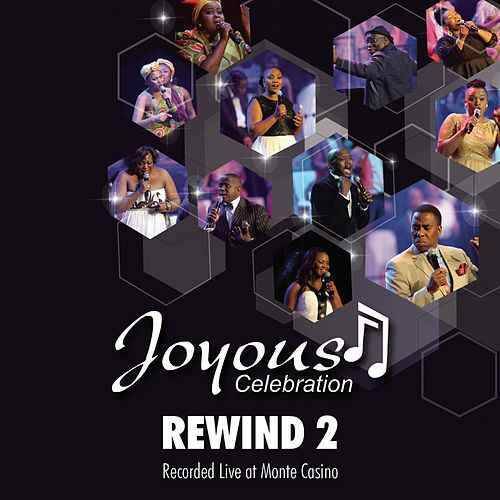 REWIND 2: Live At Monte Casino was recorded in the spirit of presenting fan’s with new recordings of their best loved classics. As relevant now as when they first performed them. The DVD boasts timeless classics with remarkable performances from Kabomo, Brian Temba, Swazi Dlamini and many others who were part of the choir assemblies in its early days. This album consists of a combination of the new joyous choir members performing classic hits like Uthando Luka Baba (Brian Temba), Because He Lives (Mthunzi Namba) and Keep The Faith (Swazi Dlamini).